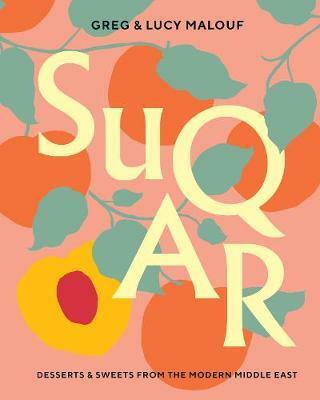 SUQAR (which means 'sugar' in Arabic) shares the secrets of more than 100 sweet treats inspired by Middle Eastern flavours - ranging from puddings and pastries, to ice creams, cookies, cakes, confectionary, fruity desserts and drinks. The traditional time to eat sweets in the Middle East is not after meals (when fruit is served) but at breakfast, with coffee in between meals or on religious holidays and special occasions. The repertoire of these dishes is vast and varied. In SUQAR, acclaimed chef Greg Malouf and writing partner Lucy Malouf share the best and most delectable sweet treats from the region (alongside some personal favourites and tried-and-tested creations from Greg's restaurant kitchens). The recipes merge the spices, flavours and scents of Greg's childhood with the influence of Greg's training in the West to create dishes in Greg's signature Modern Middle Eastern style. The book's ten chapters cover: Fruit; Dairy; Frozen; Cakes; Cookies; Pastries; Doughnuts, Fritters & Pancakes; Halvas & Confectionery; Preserves; and Drinks. Accompanied by beautiful photography and illustrations, SUQAR is a journey through the sweets of the Middle East. Greg Malouf has inspired a generation of young chefs and transformed the Australian and international restaurant scene with his love for the flavours of the Middle East and North Africa. Greg's reputation as the creator of a new style of cooking known as Modern Middle Eastern, combining Middle Eastern tradition with contemporary flair - which has changed forever the perception of Middle Eastern food in the West - reaches far beyond his native Australia. Greg was born in Melbourne, Australia of Lebanese parents. After serving his formal apprenticeship in several of Australia's finest restaurants, he went on to work in France, Italy, Austria and Hong Kong. In 2012, Greg left the award winning MoMo restaurant in Melbourne, Australia, to take over the reigns at the iconic Petersham Nurseries Cafe, Richmond, UK, where his Middle Eastern take on seasonal dining earned the restaurant a Michelin star. Along with writing partner Lucy Malouf, he has produced nine (including SUQAR) beautiful and award-winning books on different cuisines, starting with Arabesque in 1999. In 2011, he was honoured as Ambassador by The American University in Beirut for his achievements in promoting Lebanese cuisine around the world. Greg is in constant demand around Australia and abroad for chef master classes, media interviews and guest-chef appearances. He now lives in Dubai, where he was consulting for the highly acclaimed Cle Dubai and Zahira Restaurants from 2013 until 2017. Greg is currently consulting on projects in Kuwait, Saudi Arabia and Lebanon. Lucy Malouf was born and raised in England, but moved to Australia in 1989. She has had a varied career, with jobs ranging from chamber maid, caterer and short-order cook, to educational psychologist and financial analyst. In 1998, she traded in her job with a Wall Street firm to pursue her passion for food by marrying a chef and becoming a waitress. Although neither of these moves proved successful, they were the starting point for a new career in food, travel and writing. The books she has created with Greg Malouf, her former husband, have been translated into multiple languages and are now published around the world. Lucy has now returned to England, and lives in Kent, The Garden State, where she relishes country life.